Tokyo is known as one of the world’s most exciting and awarded culinary destinations. Eating Tokyo has carefully curated an itinerary perfect for those interested in getting to the heart of the Tokyo food scene. Let Janice and Sue take you on a culinary adventure unlocking some of Tokyo’s hidden gems. 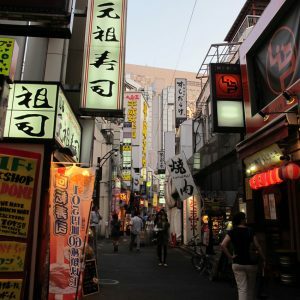 From the back streets of Roppongi to Tsukiji market, the heart of Shinjuku to the alleyways of Asakusa, they will take you to some of their favourite finds. Sample street food, explore Tsukiji Market and peruse the aisles of a famous department store food hall. Eat traditional udon noodles and the freshest sushi and sashimi. Dine at a specialist yakitori restaurant, hard to find izakayas and a modern kaiseki restaurant. The tour includes many memorable meals and food experiences, however there is time in the afternoons for exploring, shopping and relaxing. Each evening Janice and Sue will take you to a carefully selected restaurant or izakaya for dinner and lively conversation. Small, personalised tours focused on all things food. Tours are for a maximum of six guests. If you would prefer to travel with a group of friends Eating Tokyo can tailor a tour to suit. Explore Tokyo’s vibrant food scene. Sample some of the best tempura, udon, sushi, sashimi, tonkatsu and yakitori that Tokyo has to offer. Optional experiences include a sake and shochu tasting and a pre-dinner excursion to an oyster bar. Eating Tokyo will provide a truly unique culinary experience.